Toly are presenting loose powder jars with a net sifter which extracts only the finest powder and ensuring the product remains intact. 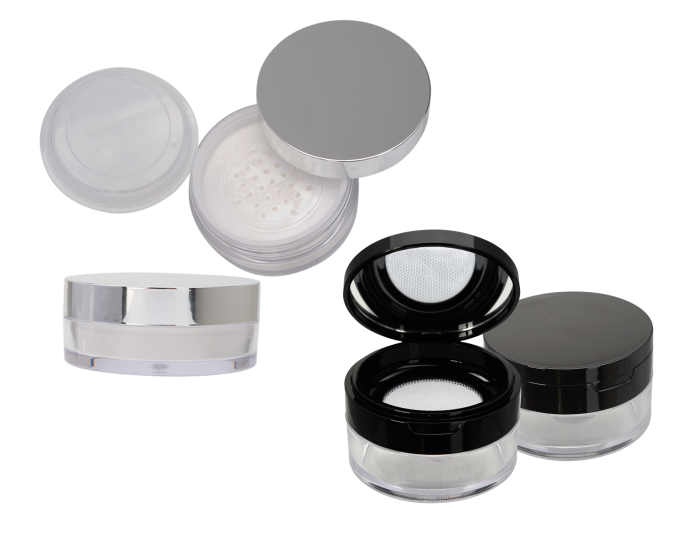 Alternatively we also offer other loose powder jars which house an integrated mirror, the hinged platform snugly holds a sponge applicator in place. Toly is always at the forefront of innovation and offer a variety of different decorative techniques to suit every brand's needs.